What makes the Karrinyup Wellness Centre different? Headaches, back pain, neck pain? Our chiropractors can help you get back to living your best life! At the Karrinyup Wellness Centre we have brought together a team of chiropractors, naturopaths, massage therapists and kinesiologists all dedicated to providing a holistic approach to your health care. Every member of our team shares a common passion and drive: to help every person in their care to improve and reach their health and wellness potential naturally. Servicing the areas of Karrinyup, Carine, Doubleview, Scarborough, Trigg, North Beach, Gwelup, Marmion, Duncraig and surrounding northern suburb areas. Complimentary Spine and Posture assessment. Meet our team of Chiropractors HERE. Meet our team of Massage Therapists HERE. Meet our team of Naturopaths HERE. Meet our team of Kinesiologists HERE. 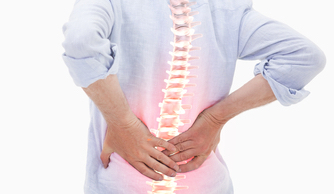 Do you suffer from ongoing Headaches, Neck and Back Pain? Have you forgotten what its like to be feel great?